J.D. 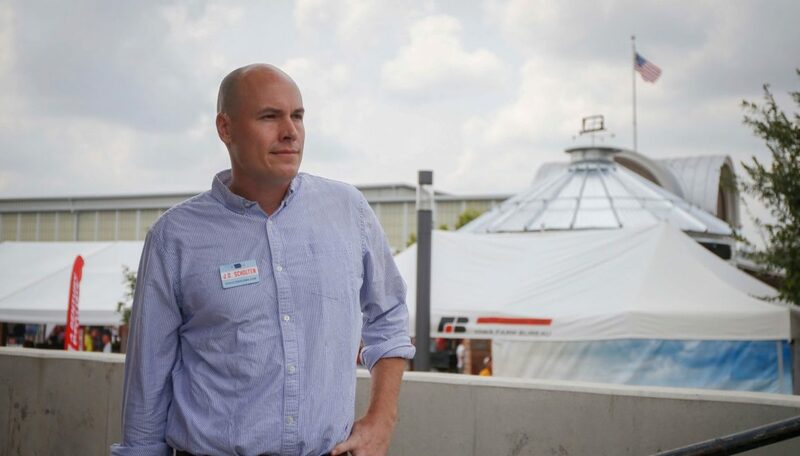 Scholten is running to unseat incumbent Congressman Steve King, author of the infamous King Amendment to the 2018 House Farm Bill. This law would strip states of the authority to act on food and farming. It would nullify state laws on a wide range of issues, from protecting animals from abuse to regulating pesticides. I stand for our farmers: they are a back-bone of my district and of Iowa, and agriculture runs deep in my family history. I believe the best way to support our farmers is to stop treating our land—our most valuable natural resource—like factories to be exploited by the biggest companies with the most money. We need to reinforce farm policies that support small and independent farmers. And we need a strong and flexible conservation title within the Farm Bill that balances environmental needs with farmers’ concerns. Vote for J.D.! To support his campaign, please donate and get involved.